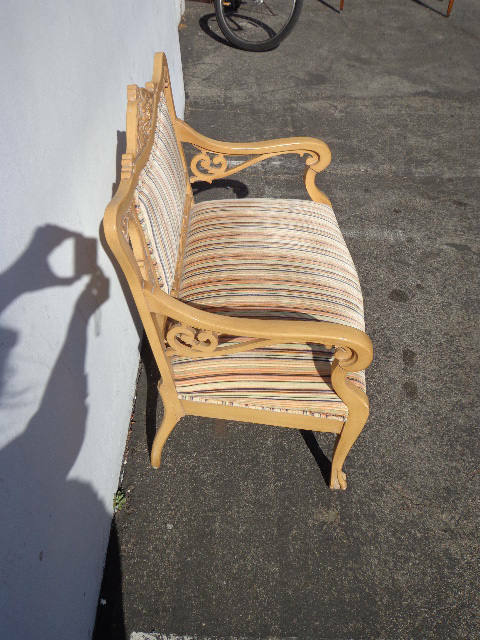 One of a kind, antique wood bench / settee. 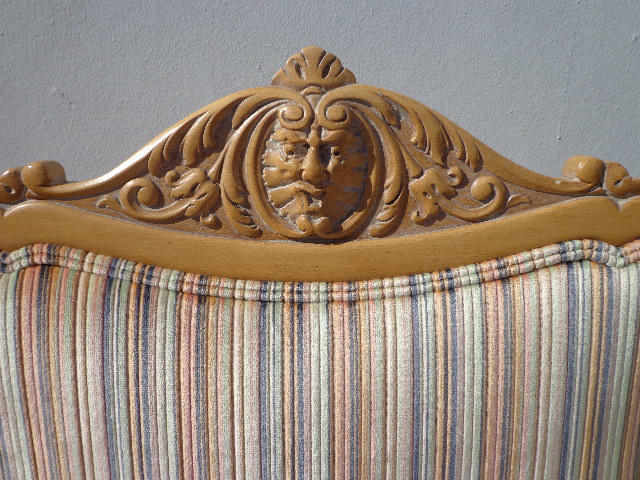 This piece is so unique in design and character. 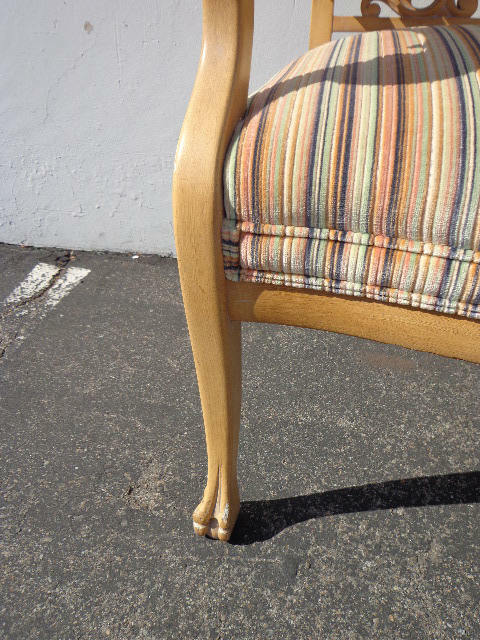 Features an unusual shape and eclectic character. 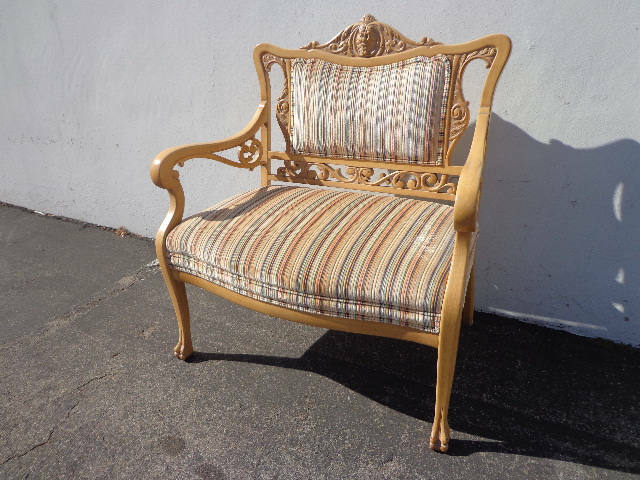 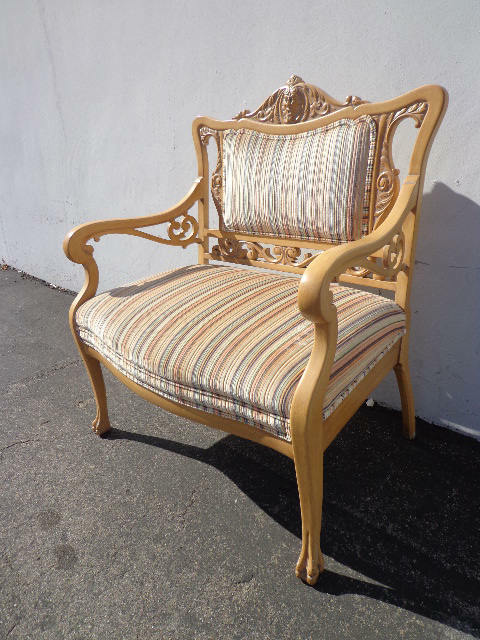 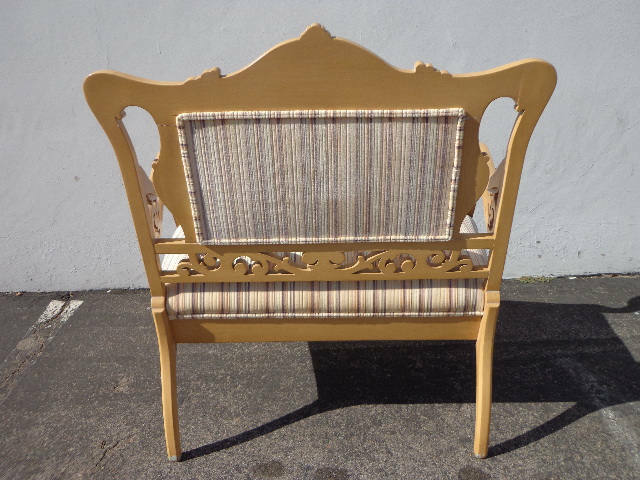 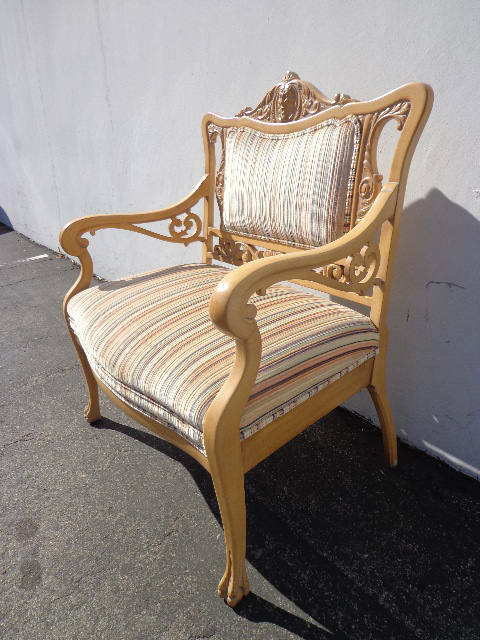 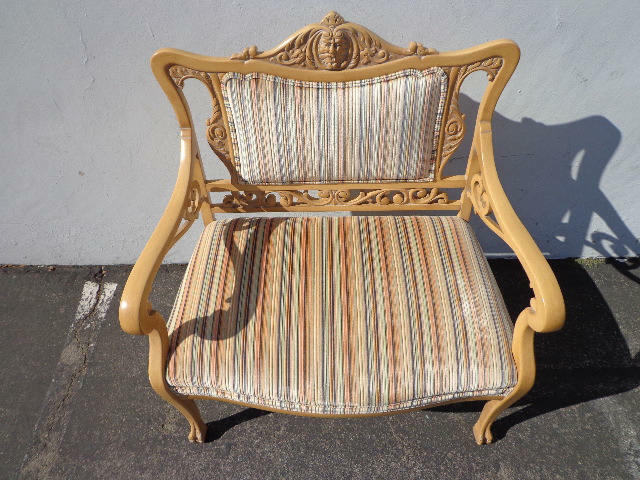 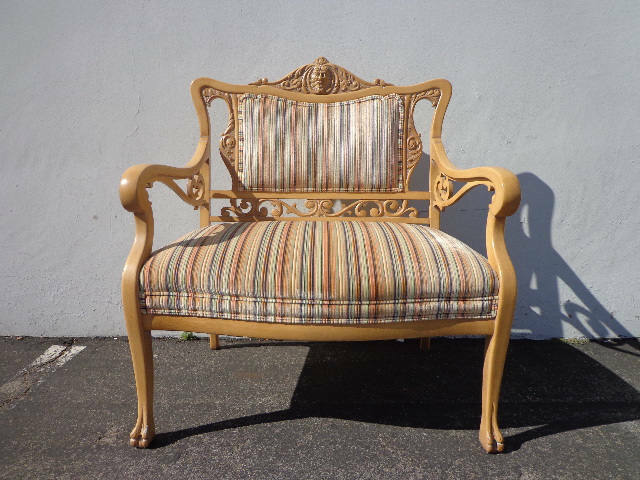 Features a hand carved wood frame with delicate details and fluted legs. 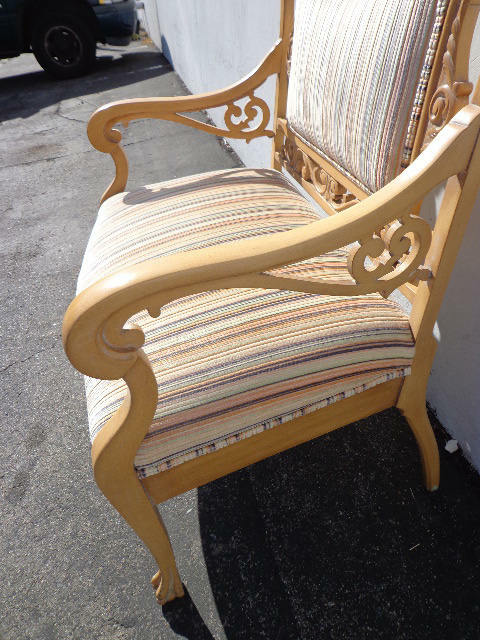 Shows wood surface wear on the arms and needs to be refinished.